HomeCan a Christian fall away? Last night at church we finished off our sermon series on Romans 1-8, which ends with one of the best passages in the whole Bible. One of the reasons it’s such a brilliant passage is because of the assurance it gives to Christians. But there’s an important question often related to the issue of assurance: Can a Christian fall away and lose their salvation? I thought about addressing this whole topic in the sermon last night but decided not to – mainly because it’s just too big, and it’s not really what Romans 8 is about. But since someone asked me about it after the sermon, I thought it might be helpful to share some ideas for anyone who’s interested. If you don’t want to read through this whole thing but you’re still interested: (a) don’t be lazy! 🙂 (b) I’ve put a bullet-point summary at the end. Remember this is just my way of thinking through the issue, and plenty of Christians who are older and/or wiser than me would think differently. So don’t just take my word for it – check if what I’m saying matches with the Bible. As you probably know, the New Testament has plenty of passages that warn people against the dangers of abandoning their faith in Jesus Christ. Some of the clearest ones are Hebrews 6:4-8, Hebrews 10:26-31, Matthew 10:22, Mark 13:13, and John 15:1-7 – which all warn Christians not to let go of Jesus. We have to keep trusting him, relying on him for forgiveness of sins, living for him, serving him, abiding in him. How do these warning passages fit into the whole issue? We’ll come back to that in a minute. 2. Okay, but can a Christian fall away? No! If we want a ‘yes or no’ answer to this question, I think the answer is no. A Christian cannot fall away. Often we think about being a Christian from our point of view. We think about our decision to trust in Jesus, or our decision to say no to sin and live a godly life – the things that we believe and we do. So, can a person who is called, chosen, foreknown, predestined and elected by God since before the foundation of the world somehow slip through God’s fingers? Can a person who has died with Christ somehow un-die with Christ? Can God’s Spirit – who makes it possible for us to call Jesus ‘Lord’ in the first place (1 Cor 12:3) – fail to keep someone trusting in Jesus? Can we be un-united to Christ? We all know people who have appeared to be genuine Christians, yet after a while have packed it in and now don’t want anything to do with Jesus. How do we make sense of this? We need to remember that people who come to church a lot can have their morality and their way of life affected by just being around other Christians. More to the point, Jesus is so magnificent that it’s possible for a person to come into such close contact with him and be so compelled by him that it really does change their life – for a while. But over time, it becomes clear that there was never a real, saving faith in Jesus – no matter how much Jesus affected that person in other ways. So, in the end, we can conclude that a person like this was, tragically, never really ‘born again’ (as Jesus puts it in John 3:1-8). 2. Jesus taught that this would happen. For example, in Matthew 7:21-23 he warns that many people will claim to be Christians (and even do great things in his name) but that his verdict on the last day will reveal that they never really trusted him. The parable of the sower also predicts that many people will hear the word and initially receive it with joy, only to have it ‘choked out’ (13:20-22). If a genuinely saved Christian can never fall away, what’s the point of all those warning passages? Are they just pretend? Basically, God uses these warnings to keep his people trusting in him, and to remind them of the danger of not trusting in Jesus. As Jesus says in John 10:27, his sheep will hear his voice. Part of hearing his voice will mean responding to the warning passages by heeding them and so not falling away. God understands our human frailty, so he graciously relates to us in this way. Because he wants us to ‘work out our own salvation with fear and trembling’ (Phil 2:12), he doesn’t just bypass our ability to make decisions. Instead, he warns us and urges us to keep trusting in Christ. But as we do that, we can also take great comfort in knowing that, if we are Christians, ‘it is God who works in you, both to will and to work for his good pleasure’ (Phil 2:13). 5. So can we really have assurance? Instead, the most important question we can ask is: ‘Am I trusting in Jesus Christ for the forgiveness of my sins and for my salvation?’ (Colossians 1:23; Hebrews 3:14; Hebrews 6:12). Look to Jesus, not yourself. • ‘Is there evidence in my life that the Holy Spirit is changing me?’ This doesn’t mean we trust in our good works, but it is right to look at our lives and expect (and pray!) that God’s Spirit would produce the fruit of the Spirit in us (Gal 5:22-23). But the most important thing is to remember the source of our salvation: Jesus, and his death on the cross for us. If you want assurance as a Christian, look to the crucified and risen Jesus, and trust in him daily. • DON’T fall away! The Bible’s answer is not so much yes or no, but a warning not to fall away. • Don’t look at yourself first, but instead look at Jesus. Are you trusting in him? Let me outline quickly why I think differently. I think of ‘perseverance’ as a subset of ‘faithfulness’. That is, it’s no different from any other instance of obedience/sin. And like other instances of obedience/sin, it’s lopsided. If I disobey, God all the fault is mine. I can’t blame him for my sin. If I ‘sell my inheritance’ (Heb 12:16), then the fault is mine. It’s not because God has failed. I think this allows us to take the warnings passages seriously, and also to account for people who do genuinely appear to have fallen away. As an aside, if I wanted to defend my view more fully, there’d also be contributing points to make about individual and corporate salvation. That is, once you start to focus less on ‘my individual salvation’ and more on ‘God’s saving purposes for his people’, the idea that “I can never fall away” seems far more shaky. 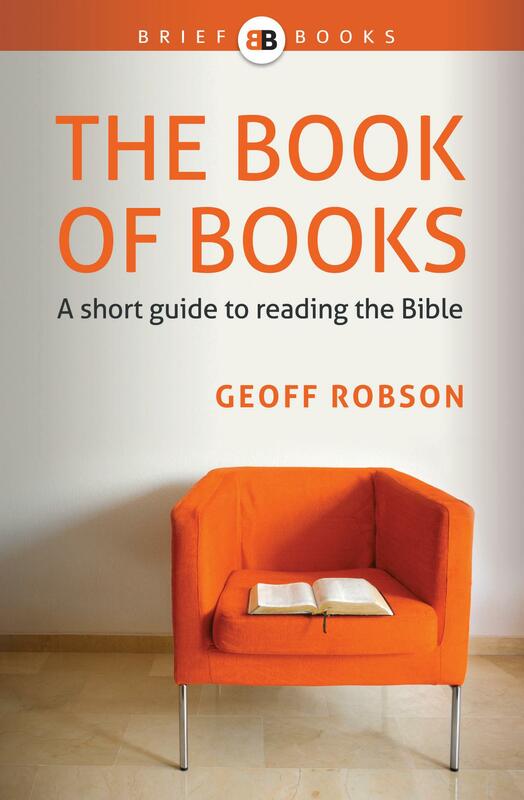 The lens through which you read the promises of Scripture starts to look different: rather than being ‘a book about me’, it becomes ‘a book about what God is doing, and how I can graciously be caught up in his plans’. Of course, for the individualist, this might feel like it white-ants assurance. But for me it’s comforting: it reminds me all the more that ‘my salvation’ is not about *me*, it’s about bringing glory to Christ. And it lowers my view of ‘my good works’, making it less likely that I’ll put my trust in them. Seriously though, thanks for replying Stuart. I agree with a lot of what you’re saying, especially the much-needed corporate emphasis. Even more especially, I agree that our obedience is only through God’s enabling. That’s why I much prefer the ‘P’ in TULIP to stand for the ‘Preservation of the saints’, not the ‘Perseverance of the saints’. However, I wonder if some of the categories I used can still apply to what you’re describing. Maybe I could put it like this: A person who has genuinely been caught up in God’s plans and in what God is doing is NOT going to fall away, simply because it’s something that God is doing. I know I’m out on a sparsely populated limb, here, but I feel like I want to maintain the real possibility of people falling away. The idea of “once saved, always saved” (however sophisticated the formulation) always feels like the triumph of theology over exegesis to me. Jesus’ warnings *to his disciples* and the Hebrews passages push me in this direction. What’s more, it seems almost sadistic if they’re not real — God scaring us with an empty threat. At the same time, we should expect such things to be rare. Even the writer of the letter to the Hebrews is confident about his readers! He expects his letter to do the trick, with its double dose of warning and reminding about the glory of Jesus. I’m with Stuart on the fact that at times it does sound like a triumph of ‘theology over exegesis’. I think they are real warnings. As a Christian is called to continue with ‘faith in Christ’, and that some one really can apostate themselves….. The issue really becomes a pastoral discussion, and to a person who professes to follow Christ – you can truly say, ‘Christ will be faithful to you as he promises’, but I would tell them you REALY can sin yourself into oblivion (rather than fall away as such – and I know it is in Hebrews!) by failing to repent, by failing to hold fast to Christ and his grace. So if the person is frail because of the hardness of life, I would say they could be assured that God will be faithful to them in salvation. I wonder if we make it an absolute rather than seeing a need for it to be spoken to a particular person/persons (so like the seven churches in revelation or even, individuals as in some of paul’s letters) we actually could do the opposite of what the Bible desires in comfort or rebuke? both would not be good. – I wouldn’t go down the path of seeing the election primarily in the community (although clearly community is incredibly important and usually overlooked in our circles – in contrast again to the Bible – say to the churches in Revelation), it defends God I guess from the charge of being some sought of indian giver, but ultimately you could argue it could lead to the same pastoral issues?!? anyway probably need to think some more about that!! My mentioning it here is just to cast the whole issue of salvation in a wider context. This should help both the proud and the weak to take their eyes off themselves, and regard Jesus more, I think.